It's been a while since my last post and in that time a lot has happened. I've handed in my two 6000 word essays, and in so doing, completed my degree; I've spent the subsequent three weeks seeing friends and reveling in not being cooped up inside; I've spent most of my time drunk/hungover/repeat. Sunday is the day of rest, usually spent in front of the TV nursing bevvy-induced nausea while chowing down on a McDonalds and feeling perfectly justified to do so. Today, however, has not followed my usual routine. This may be because it's the 1st of June (new month, new me?!) or perhaps because I went out Friday night and so yesterday was my hangover day instead. Either way, Emily and I slipped on our sandals and paddled through the Laines and down to the sea, in order to soak up the sun peeking through the clouds. 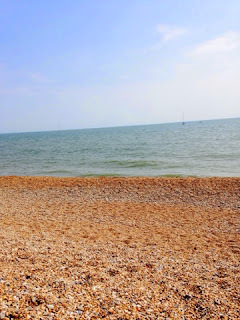 Feeling the warm pebbles reminds me of exactly why I love Brighton and how sad I'm gonna be to have to leave it again. Sunday Routine (bookmarked months ago from Stevie) is an insight into how others (highly cultured individuals) spend their last day of the week, usually in a way a lot more creative and interesting than the all-day slobbing I'm used to. 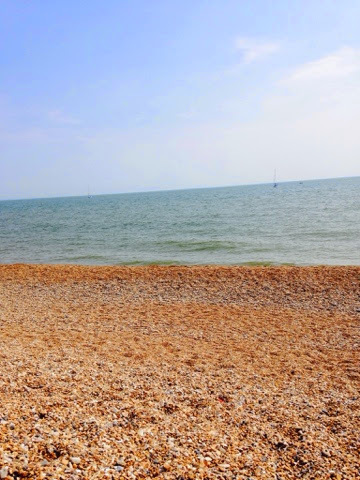 With a blank-canvas-brick-road laid ahead of me, it's my summer resolve to spend more time doing things that excite me --- writing/day trips/swimming in the sea. Maybe next Sunday I'll take my slobbing from bed to the beach and kill two birds with one stone.